Since 2000, we are specialized in glazing treatment and more than 5000 vehicles are produced each year thanks to our professional teams. Our product is N°1 in Europe and of course approved by the technical control. 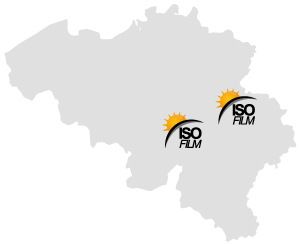 ISOfilm offers you the ideal solution against: heat in the cabin, prying eyes, break-ins, glare, glass splinters in case of shock and all this by bringing an aesthetic touch to your vehicle. Textured and conformable self adhesive vinyl covering for walls and furniture.